Children under 9 do not pay. You must also provide your original passport along with the ticket to enter any of the 16 attractions. The name on your passport and your Cusco tourist ticket must match. 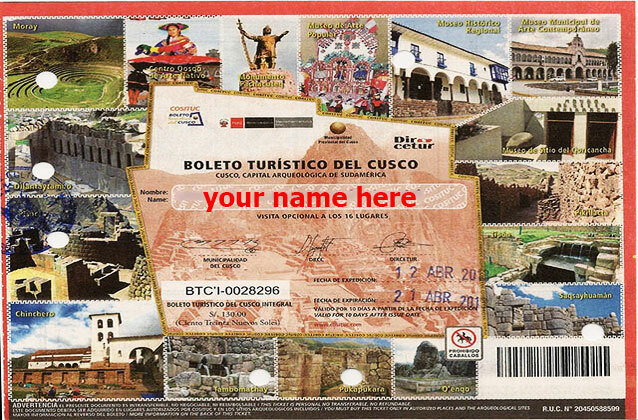 All Cusco tourist tickets are non-refundable and non-transferable and valid only on the dates stamped on the ticket. This price includes delivery of the ticket(s) to your hotel in Cusco. Includes delivery of the ticket to your hotel in Cusco the day before.